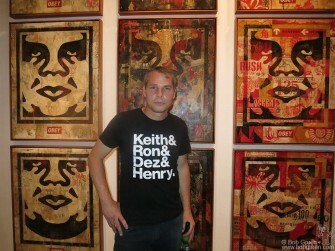 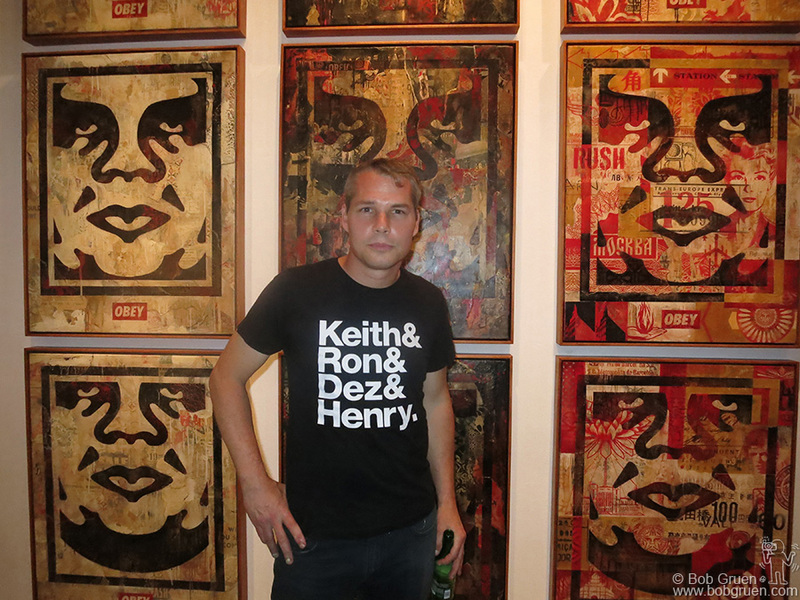 August 6 – Shepard Fairey showed some new works at the Wooster Projects anniversary exhibit in Chelsea. 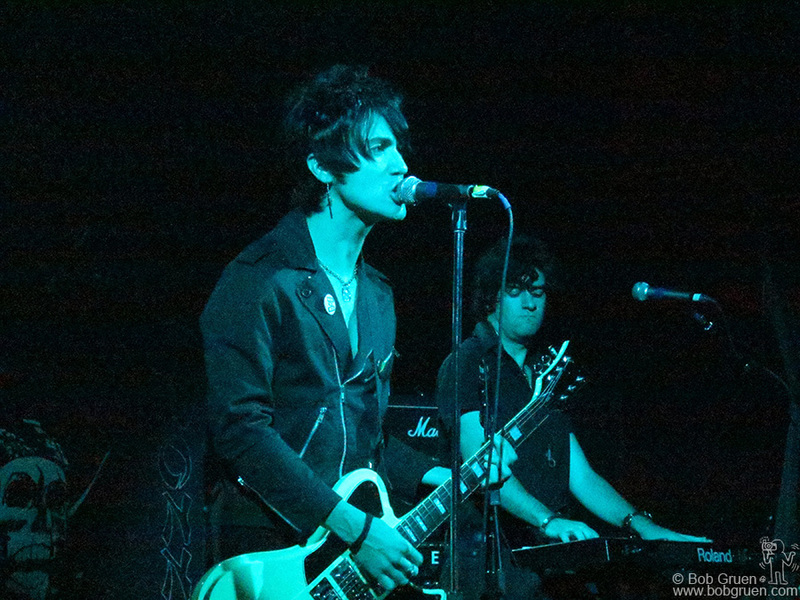 August 16 – Prima Donna rocked out like true punks at Irving Plaza. 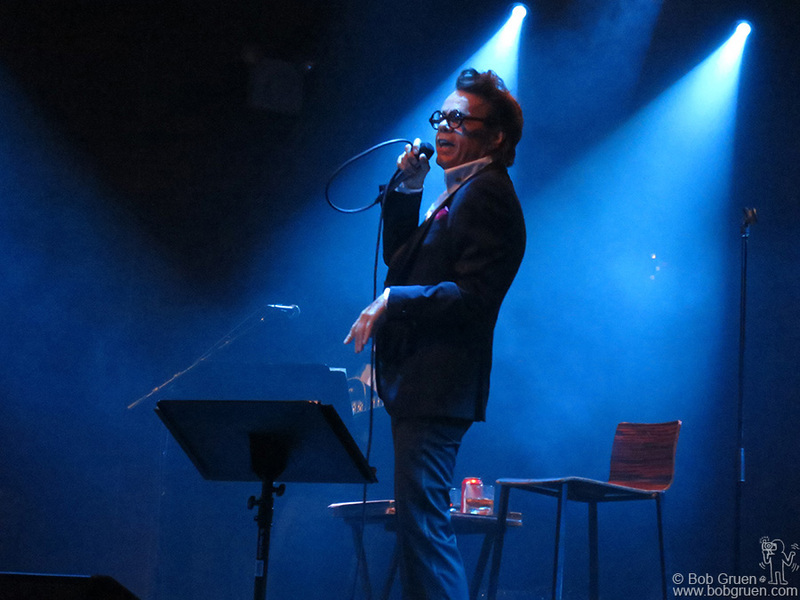 August 28 – David Johansen was as funny and heartfelt as ever as Buster Poindexter at Highline Ballroom. 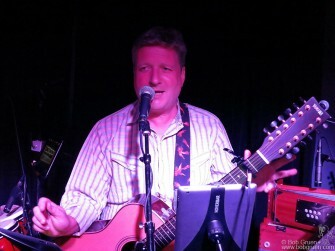 September 4 – In between bigger dates Glenn Tilbrook gave fans a small intimate show at Bowery Electric. 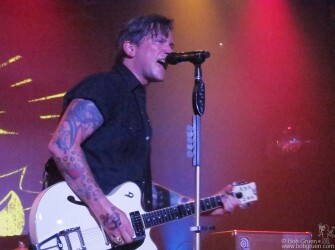 September 10 - Butch Walker had the audience singing along with his hits at Highline Ballroom. September 10 – Butch Walker had the audience singing along with his hits at Highline Ballroom. 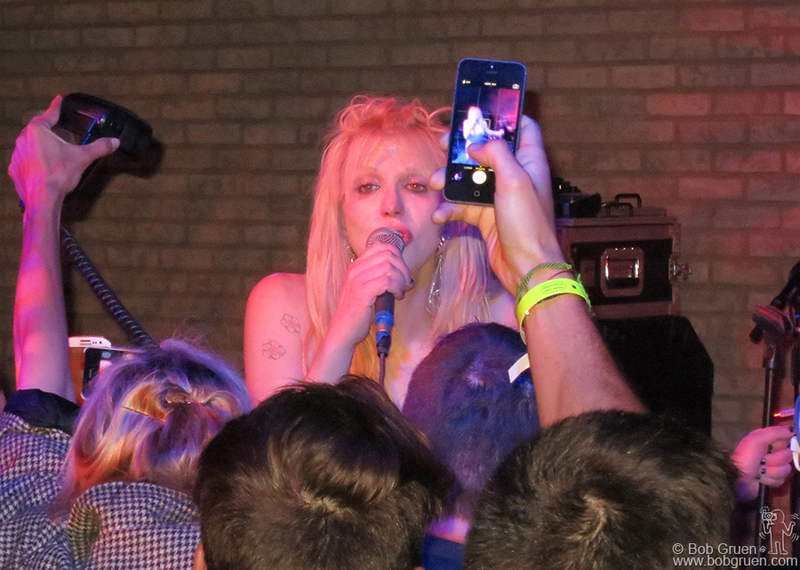 September 9 – Courtney Love’s show was at a private party during fashion week at the Electric Room. 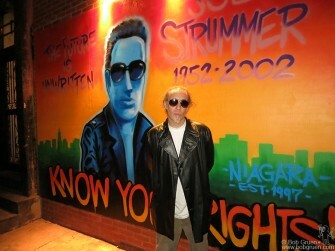 September 19 – Dr. Revolt finished his new mural tribute to Joe Strummer outside the Niagara bar on Ave A & 7th Street in time for Mick Jones to see after the Clash press conference. 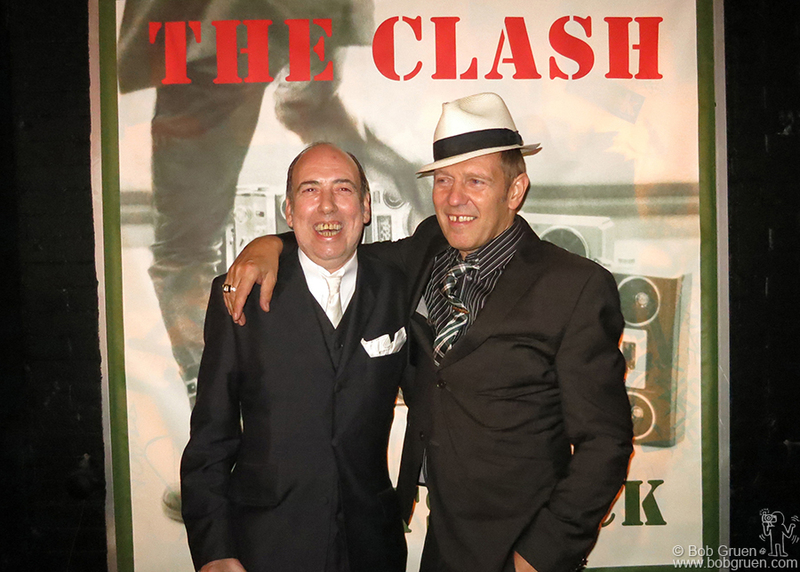 September 19 – Mick Jones and Paul Simonon came to New York to promote the new Clash Box set ‘Sound System’ at a press conference. 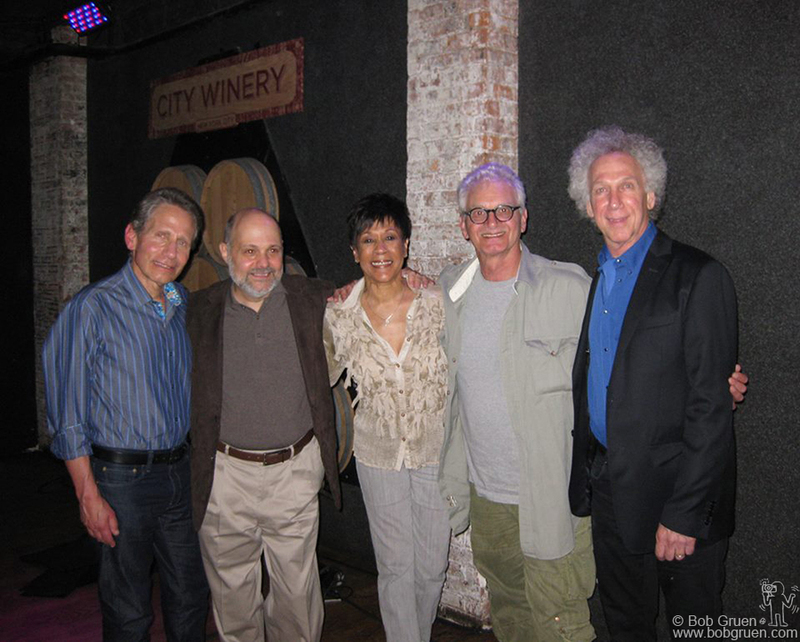 September 12 – At the City Winery with: (from left) Dennis Elsas, Joe Raiola, Bettye LaVette and Jack Douglas, for an evening of memories of John Lennon, raising funds to benefit the John Lennon Memorial concert series, now in it’s 33rd year. 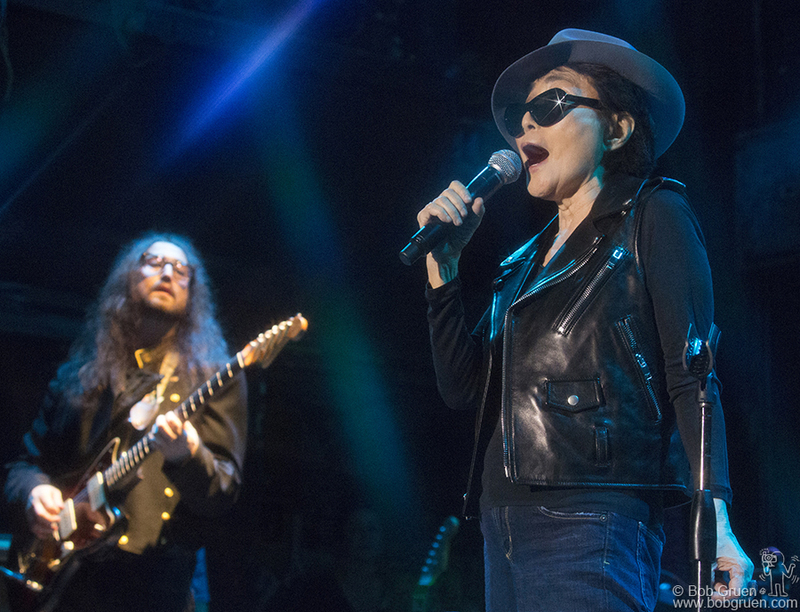 September 15 – Yoko Ono showed that at 80 she still rocks like the kids, with her son Sean Lennon leading her band at Bowery Ballroom. 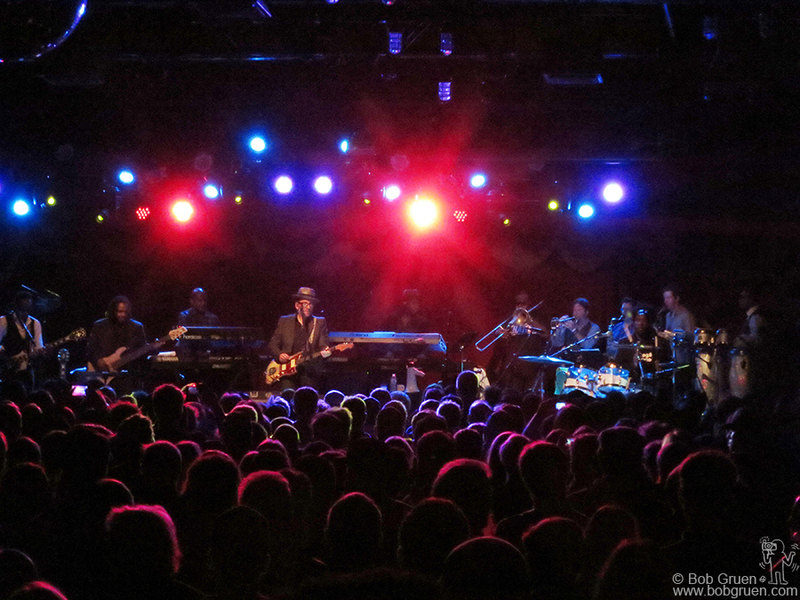 September 16 – Elvis Costello & The Roots debuted songs from their new album at Brooklyn Bowl, a very funky night for Elvis fans. 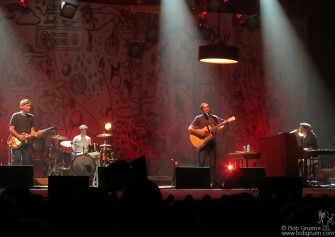 September 23 – Jack Johnson’s set at the uptown United Theater was a very cool mellow evening. 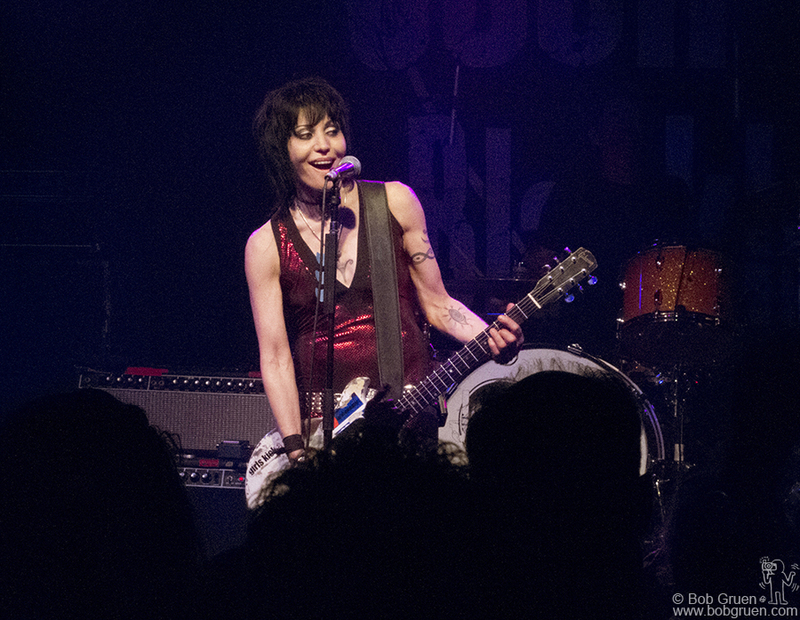 October 2 – Joan Jett played a rockin’ set with new songs celebrating the release of her new album at Santos Party House. 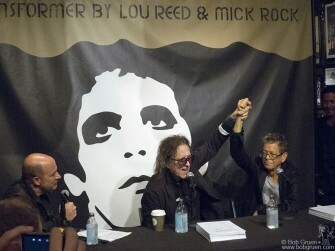 October 3 – John Varvatos interviewed Mick Rock & Lou Reed about their new limited edition book collaboration at the Bowery Varvatos store. 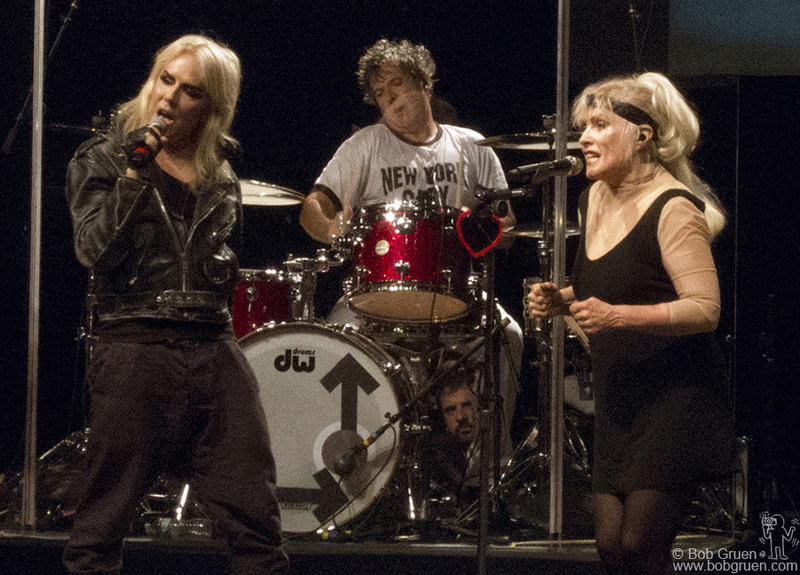 October 4 – Blondie’s show at Roseland was a great success with a surprise appearance of their friend Miss Guy, joining Debbie to sing ‘Rave’, a song from the new Blondie album. 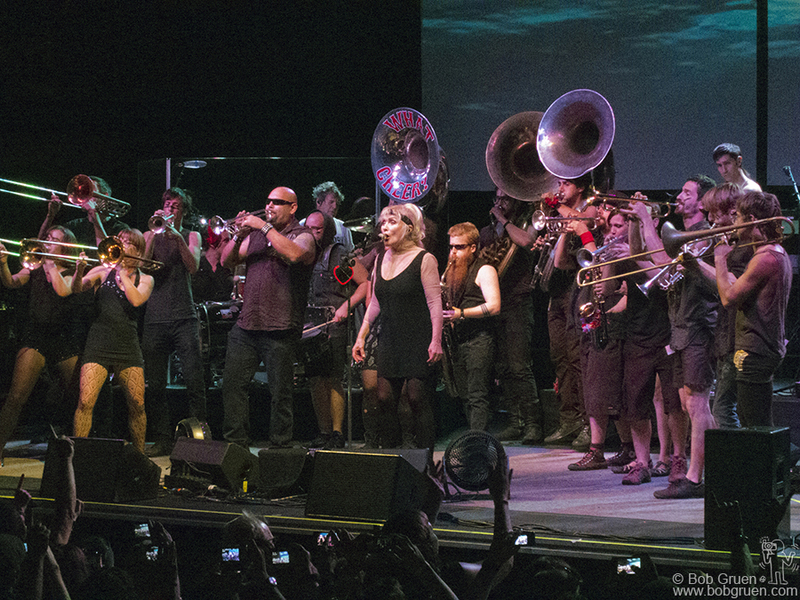 October 4 – Blondie finished their show with a rousing encore surrounded by the huge brass band ‘What Cheer Brigade’ from Providence, RI. 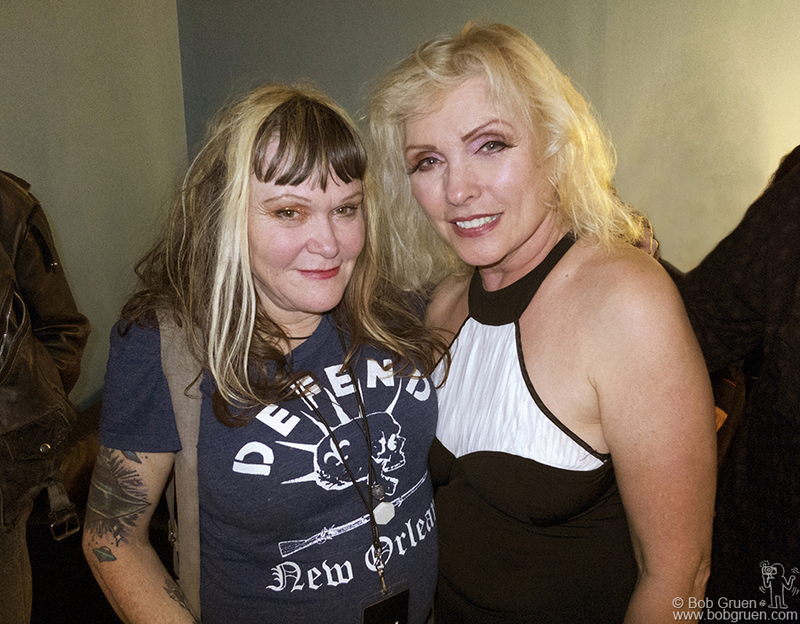 October 4 – Exene opened the Blondie show at Roseland with her band ‘X’ and then later said hi to Debbie Harry backstage. October 4 - Roseland - Joan Jett saw Blondie at Roseland and came backstage to catch up with Debbie Harry. 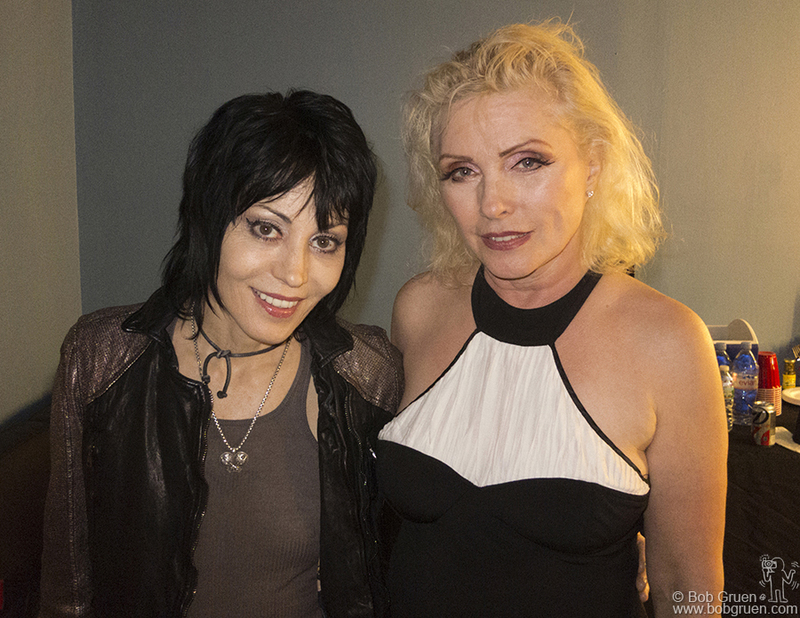 October 4 – Roseland – Joan Jett saw Blondie at Roseland and came backstage to catch up with Debbie Harry.